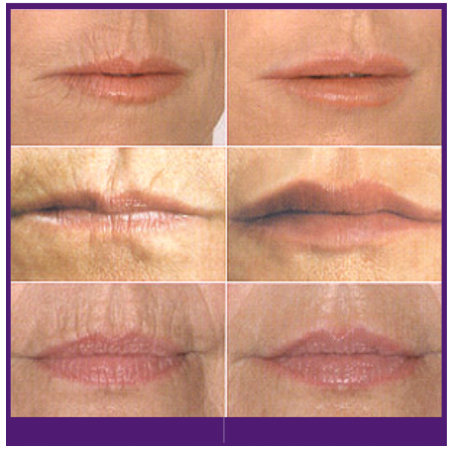 The size and shape of lips can be altered by injecting a specific tissue filler into the lips. The outline of the lips can be emphasized/defined, or volume can be added to the bulk of the lips. Many clients choose to do both. The procedure is done under local anaesthetic. More than one treatment may be necessary to get the lips to the perfect shape and/or size.